On the weekend of August 8th – 10th Birmingham is to be treated to a special set of events under the Mixmag Live Weekender banner. 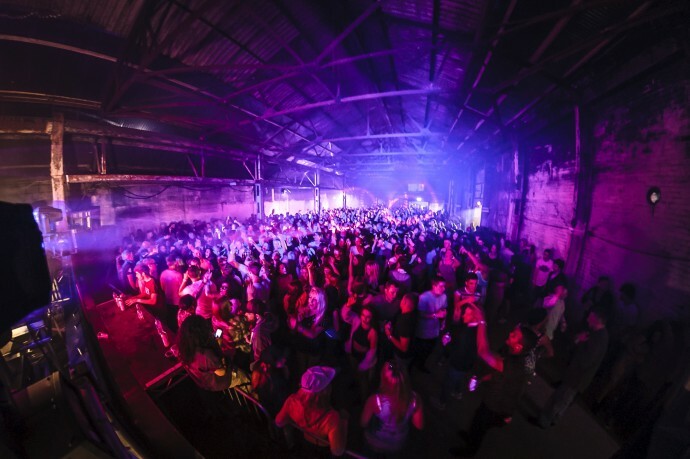 Taking place at The Rainbow’s ‘Next Door’ & ‘Textile Factory’ venues, various big names from the underground house and techno world will play a night party, afternoon party and after party. Things kick off on Friday August 8th when the world famous Zoo Project come to town for an exclusive warm-up event. Headlining will be Pedestrian, Medlar, Youandewan, Shadow City and Bastian & OPYN and the venue is Next Door. The raw space has an exposed steel framework, proper brick walls and a great industrial feel. The brand new three-tiered venue will hold just 350 clubbers and it’s decked out with some dizzying technical goodies including 3D mapping and visuals, light boxes and more. Sound wise, it’s touted as the best in the city thanks to its specially fitted Martin Audio system. The next event takes place in the Textile Factory on nearby Digbeth High Street from 2pm Saturday afternoon to 2.30am Sunday morning. The party sees Blackdot – a night that is home to the industry’s best underground house and techno acts and is the only brand in Birmingham booking acts on a weekly basis, with past guests ranging from Sasha to tINI – settle into their new regular home with a fine cast of headline acts including the massive star that is Dubfire plus French trio Apollonia, minimal hero Rhadoo, bass sensation Scuba, local lad done good and One Records boss Adam Shelton and many more. Then revellers will then return to Next Door for the Blackdot after party which will run from 2.30am until 7am and feature will very special guests as well as techno Richie Hawtin’s protégés Whyt Noyz for a late night blow out. For those looking for a genuine underground experience not blighted by commercialism, and for a well priced party that is headed up by only the highest quality acts from the worlds of house and techno, look no further.